Providing innovative arboricultural & landscape advice to designers, planners, landowners & developers. Using our in-depth, international tree management & landscape planning knowledge, we can deliver novel solutions to tree issues on candidate development sites. Our company's principal consultant, Scott Fairley, holds Master's degrees in both landscape architecture and environmental forestry and has practiced in both fields in five countries for a range of prestigious clients since 2001. We are able to transform trees on development sites from potential constraints into valuable assets. 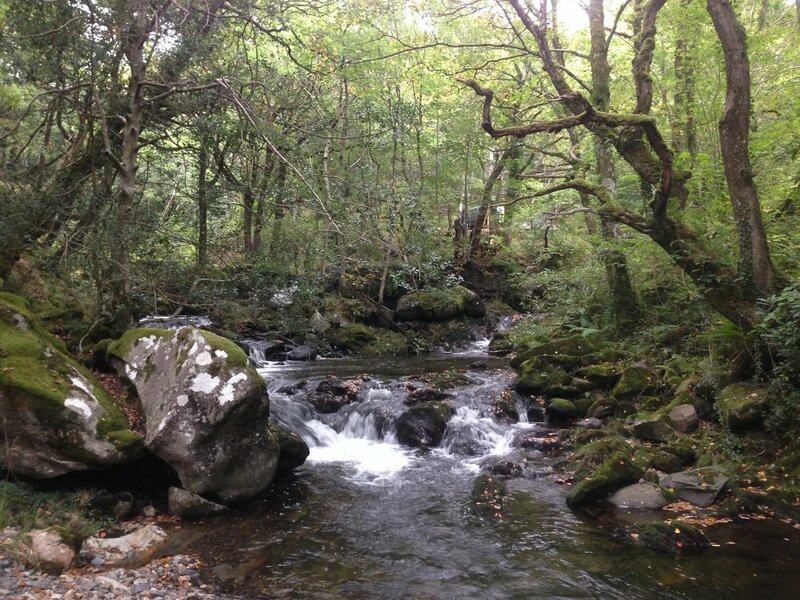 A woodland which we assessed as part of one of many hydro-electric schemes which we have been involved in over the past 8 years. 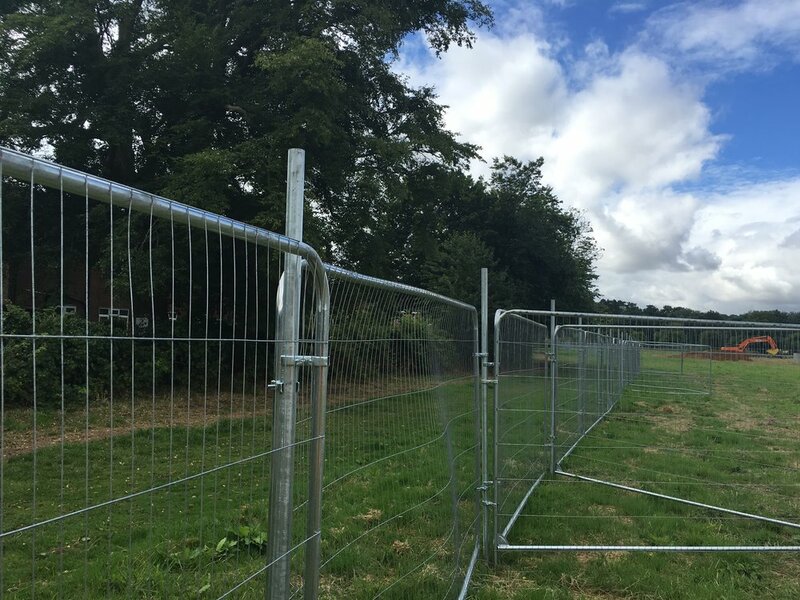 Textbook tree protection fencing on a project in Midlands undertaken with Barnes Walker landscape architects for Morris Homes. An urgent road clearance project which we specified and implemented at short notice. Radial trenching of a late-mature oak tree which had suffered soil compaction on a develop site. We specified and undertook the work direct. 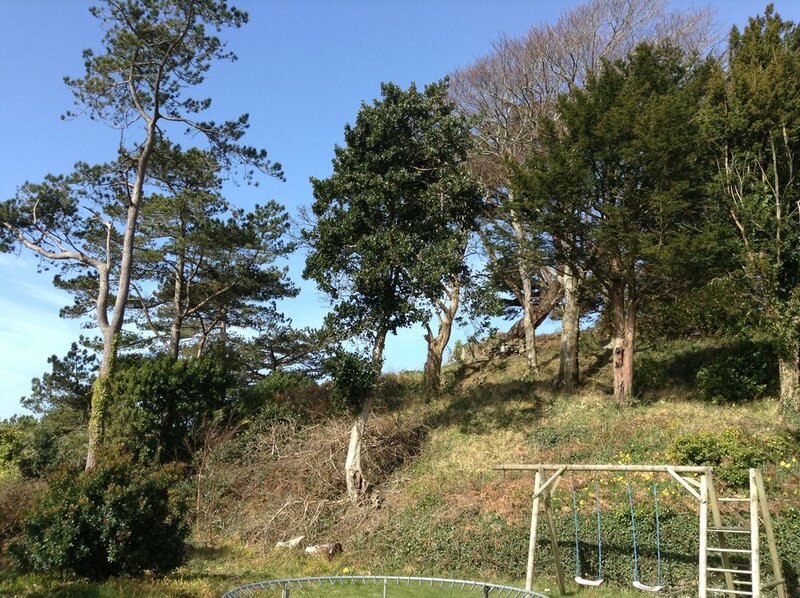 Typical marginal trees with newly-installed play equipment on one of our projects in Gwynedd. Safety management is about enabling interaction between trees and people. 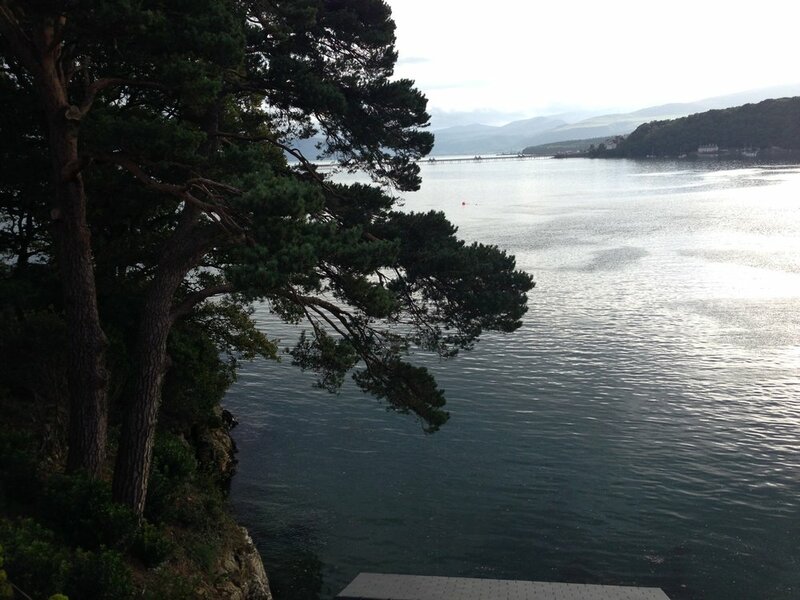 The view from a client’s garden on Anglesey. Over a number of years we provided tree safety advice, landscape architectural services and planning input. A veteran oak tree which we had the pleasure of inspecting on behalf of the National Trust Wales at Bodnant Gardens, in Conwy. Closeup of the bark of an ancient olive tree, which we transplanted into a client’s new walled garden with a crane some years ago. Beautiful tracing roots of a beech in a woodland which we inspected some years ago in Scotland. Remarkable trees can inspire people for centuries. 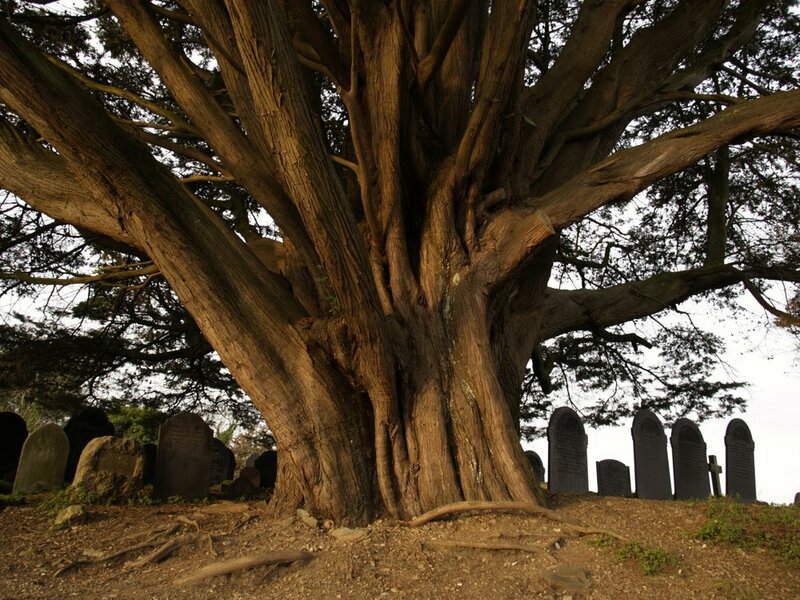 This huge Monterey cypress is a beloved feature of Church Island on Anglesey. An image from a woodland walk which illustrates the way is which tree crowns interact with each other through sophisticated “perception” of light, wind and physical contact. Foreseeable defects leading inevitable failures. An inspection may have precluded this collapse onto a (thankfully empty) playing field. 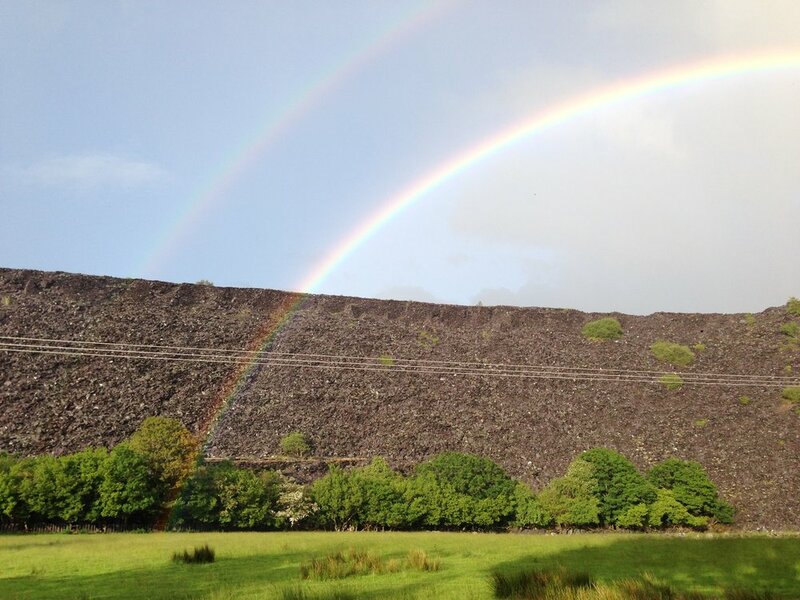 We can deal with any tree and landscape management issue quickly, efficiently and on budget. We have been providing arboricultural input on new planning applications in the UK, and latterly in Canada, since 2001. As part of the planning process we are often able to propose novel approaches to overcome tree constraints, and then assist with the delivery of these techniques on site. 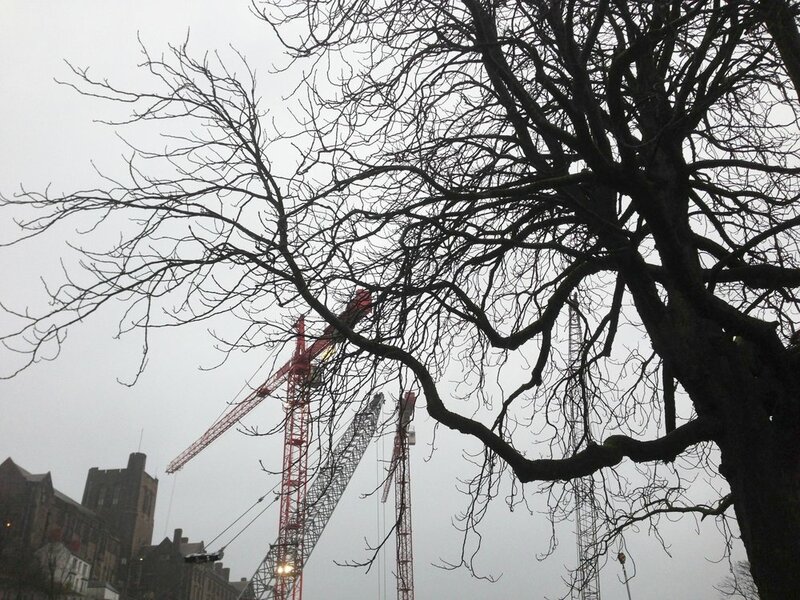 If you are struggling to overcome a tree constraint on your development site, contact us and we will be able to assist. 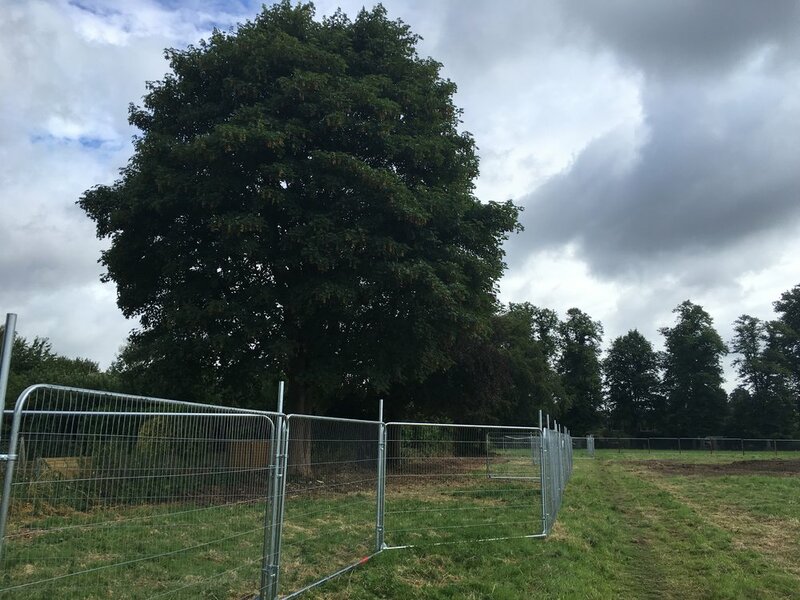 Once development is underway, we offer contact administration for any enabling tree work, tree protection specifications and regular site inspections due ensure that retained trees do not suffer damage. Millions of pounds are mis-spent each year on landscape management and maintenance by landowners of all scales. This can be due to poor landscape design, poor contractor vetting and a lack of detailed and auditable maintenance plans. We can assist with all of these issues by providing design input (e.g. rationalising or removing small, inaccessible areas of mown grass), by assessing contractor competencies and producing clear and quantified landscape maintenance documents. Trees deliver a broad range of benefits to society; through enhanced wildlife interest, air quality enhancement, temperature attenuation and storm water absorption, to name a few. However, tree owners have a duty of care to ensure that their trees do not represent a hazard to the public. We can provide a comprehensive tree monitoring package whereby all trees are assessed and mapped, and any tree work is broken up into annual phases for ease of budgeting. We then contact you prior to the end of the 3-year liability period of the assessment to arrange a re-inspection. We carry £2 million professional indemnity insurance. Japanese knotweed has become an increasing problem to landowners, and can represent a considerable liability in terms of remediation cost or legal action. We provide invasive species management plans to deal with Japanese knotweed infestations in line with best practice guidance issued by RICS, the Property Care Association, the Environment Agency and other statutory agencies. In addition to our planning services, we can also manage and audit the control process, acting as managing landscape architects through the life of the project. Having worked "on the tools" for many years, we have the in-house knowledge to prescribe tree work in detail, produce comprehensive and clearly illustrated tender documents, manage the procurement process and then inspect all works prior to issuing a certificate of completion for payment. We can also provide access to our approved contractors, who we have worked with for many years, and whose work and documentation we audit regularly. Creative horticulture is one of our long-standing passions, and we have many years of experience in designing wildflower meadows, perennial gardens and other colourful and pollinator-friendly landscapes. We also have specialist experience in specifying, sourcing and planting large (6 metres+) semi-mature trees for that instant impact.